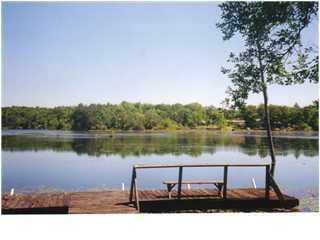 HUGE PRICE REDUCTION on this Waterfront lot on Juniper Lake. Beautiful open lake view of Juniper Lake. Lake is said to be 670 acres with large mouth bass, bluegill and catfish. Dock on lake for fishing. Also includes a storage shed. City water with tap fee PAID. Septic tank and power pole are as-is. Property is ready for new home, new manufactured home or a perfect place to visit with your motor home.